Thank you for the beautiful little orchid. Such a healthy plant and extremely well packed. Many thanks Jenny. plants arrived today in good condition. Great healthy plant ….. and great seller! Great healthy plant and free gift! What more can you ask for, great seller! All perfect! Great ebayer. Thanks a lot! Strongly growing specimen plant. Very pleased. Thank you for a very nice plant! true to picture, well packaged, fast shipping! This was really fast shipping super fast and perfect 😄 The orchid a very great plant 👍👍👍 a dream and so big. The recipient was really pleased with the orchid, which arrived safe and sound. Thank you. Sorry, I forgot to thank you for sending the orchid which I ordered back in May. The recipient was really pleased with the orchid, which arrived safe and sound. Thank you. It was packed really well and I appreciate replying to my enquiry quickly. the orchids have arrived safely this marimorning. Many thanks they are really lovely. just a quick message to let you know that the orchids have arrived safely this morning. Many thanks they are really lovely. Good plant – recommended seller! Nice plants , very fair seller . Buy again when possible . Great webshop and quality, individual service Kent. 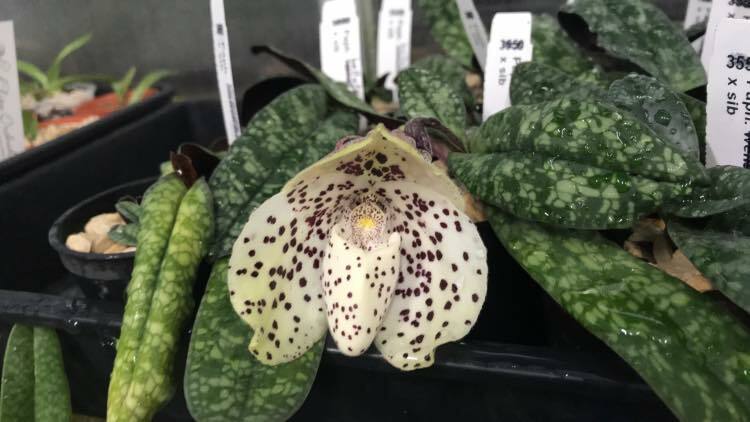 Thank You for the Paph. received yesterday. A lovely little plant that I’m very happy to have. Super fast shipping, extremely well packed. Anytime again. I can highly recommend this seller, excellent quality plants and outstanding communication, I will certainly return to do business in the near future. Another first class phragmipedium, a very well established Schlimii Var. Manzurii with spike, excellently packed, very fast despatch and delivered in perfect condition. Very well done in the excessive heat we have had over the last few days.A real pleasure to buy from and completely trusted supplier of orchids. Thank you. I have received the orchids you sent me . They are very healthy and quite nice. Thank you. Healthy and nice plant with perfect roots – I am very happy with the seller! Just to say the plants have arrived safe and well today. They’re fantastic quality – the P. delophyllym in particular is an absolutely cracking plant. Just to say the plants have arrived safe and well today. They’re fantastic quality – the P. delophyllym in particular is an absolutely cracking plant. Thank you also for the little free gift – it’s a species I’ve wanted to grow for a long time; much appreciated. I’ll keep an eye on your website for new stock – if only I had more room! The plant was posted with a heat pad and express post to me. Furthermore it was a big and healthy plant! I am very satisfied with my purchase of a Lycaste lucianii. The plant was posted with a heat pad and express post to me. Furthermore it was a big and healthy plant! the plant arrived promptly and in immaculate condition. The customer service has been brilliant and I won’t hesitate to buy from them again. Thank you so much. 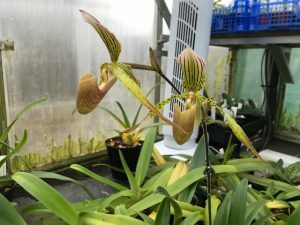 I have been incredibly impressed with the service provided by Elite Orchids. 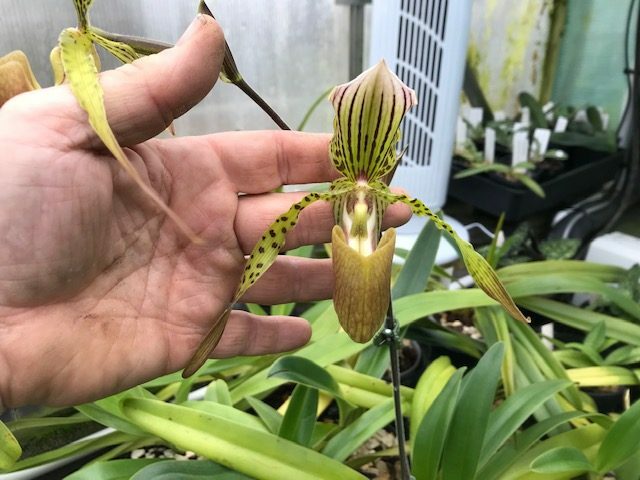 They have a wonderful selection of orchids (including very rare species) and upon purchasing I was kindly sent a photo of the exact plant that would sent to me, which was very reassuring. It arrived promptly and in immaculate condition. The customer service has been brilliant and I won’t hesitate to buy from them again. Thank you so much. Hi mate, I received the orchid fine thanks and also thanks very much for the free airplant, I wasnt expecting that. Many thanks again. The plants youve sent me are just fine and healthy. Thank you! The plants you ve sent me are just fine and healthy. Thank you! the plants were extremely well rooted. Nice and pleasant communication in addition. I would highly recommend your company to anyone I know, have a good day. Many thanks for another first class plant, it arrived in excellent condition & was larger than I was expecting. Many thanks for another first class plant, it arrived in excellent condition & was larger than I was expecting. The plant was very well packed & was delivered the next day after dispatch. Always a pleasure to deal with & the plants are consistently of an excellent quality. 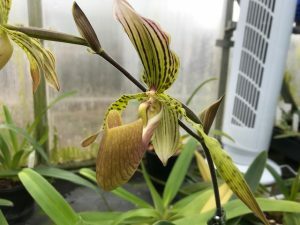 Elite Orchids has a huge choice of paphiopedilums and phragmipediums. I will be definitely coming back with another order! Excellent customer service. Mark has emailed me photos of the plant, to make sure I like it. Plant itself was packaged very carefully. It arrived in EXCELLENT condition ( we had a freezing temperatures!) and VERY fast. Few days after delivery I have received follow-up email from Mark. I have been buying orchids from nurseries from all over Europe for years, but Elite Orchids provided the best customer service so far! And I got a present with my order as well! Buying Orchids at Elite Orchids is a new experience for me. This perhaps unique service certainly encourages me to continue buying from him. Buying Orchids from Elite Orchids is a new experience for me. When you place an order for orchids direct with Elite Orchids Mark emails you pictures of the specific orchids he proposes to send you and the orchids are held in such a way that you can read the labels. This perhaps unique service certainly encourages me to continue buying from him. Super plant , just exceptional colouring, really love it. so thank you so much once again! Just a quick one to let you know that my parcel arrived yesterday is in superb condition again. Super plant , just exceptiopnal colouring, really love it. so thank you so much once again! Absolutely beautiful and the vinicolor was exactly what I was looking for. Hi Mark! Thank you for the plants! Absolutely beautiful and the vinicolor was exactly what I was looking for. Perfect transaction ,plant,delivery ,oh and a gift airplant ! I have received the orchid. It is small but looks very healthy. Thank you for sending it to me. I received excellent service and Mark was very willing to answer any questions and check that I was happy with my plants, who could ask for more! I received excellent service and Mark was very willing to answer any questions and check that I was happy with my plants, and I received a free Tillandsia as well, who could ask for more! I received thé paphiopedilum yesterday. In great health. I want to thank you very much for the quality of this marvelous orchid and also for the gift i réaly appreciate since i.m fan of orchids. Wonderful healthy plants and a really helpful seller. Wonderful healthy plants and a really helpful seller. The plants were in great condition and thank you so much for the free dendrobium, it s absolutely adorable! I have received the big nice Eumelia Arias. A wonderful plant with much hope for the future. Thanks for fast and very well delivering! I am very saticefied!! I will be back for more plants in a while. Lovely healthy plant, as described, very good quality. Very good seller. The orchid and Tillandsia ( that was a lovely surprise) arrived this afternoon in fine condition, thank you so much! Beautiful plants, and excellent dispatch service! I get the plants yesterday and i am very pleased with them. Thanks again for the plants and I hope it possible to buy from you again. Excellent specimen. Great communication. Thanks again! My plants arrived here safely today thank you, I’m really pleased with both of them. Thank you for the two free gifts which were a lovely surprise. Mark sells quality plants, and cares that they arrive expeditiously! Just a quick email to let you know that my plants arrived safely this morning. Many thanks they are lovely. Excellent seller – prompt delivery – well packaged and an unexpected free gift. Strong plant, courteous and fast service with excellent packaging. Well established, healthy plant. Very pleased. the plants arrived yesterday in a very good condition. i am very pleased for the plants,they have got very good roots. also your service is so brilliant . Hello Mark, the plants arrived yesterday in a very good condition. i am very pleased for the plants,they have got very good roots. also your service is so brilliant . overall very good experience to buy from you. i am sure I will come back to purchase more in the future. Thank you A+++++++ It arrived safely and thank you for the free gift! “Great communication, very nice and healthy plants…. Highly recommended without hesitation. Packaging and dispatch with utmost care. Nice plants in good condition. Packaging and dispatch with utmost care. Amazing specimen; great packaging. Thank you!! Another amazing specimen; great packaging. Thank you!! Excellent quality plant, well packaged. Great communication throughout, Mark even sent photos of the plant prior to shipping. Arrived with a lovely surprise gift, would highly recommend! all I can say is excellent plants healthy and good quality, excellent communication, quick delivery and very well packed..
Third time buying from this nursery, all I can say is excellent plants healthy and good quality, excellent communication, quick delivery and very well packed. Been a pleasure buying and will carry on buying from them. Very quick shipment, gorgeous plants and a very nice communication! Thanks a lot Mark! Today I received my first order and it was definitely not the last. Very quick shipment, gorgeous plants and a very nice communication! ……good quality. Very good seller. Lovely healthy plant, as described, good quality. Very good seller. Excellent vendor !! ; very good selected plant arrived perfectly; thanks !! Very beautiful plant … friendly communication … gladly again !! Very beautiful plant ... friendly communication ... gladly again !! Dear sir,thank you for your excellent services.I am very happy with both of the two plants that you send and makes me want to buy orchids only from you! Dear sir,thank you for your excellent services and the unexpected gift that you have sent me.I am very happy with both of the two plants that you send and makes me want to buy orchids only from you! …. plant still had a flower on it and it arrived in perfect condition. I am very pleased with the way elite orchids packaged the plant I received, the plant still had a flower on it and it arrived in perfect condition. A+++++ seller,highly recommend! I’m very pleased with the packing of the plants and quick delivery! Thank you very much for my plant and more thank you for the gift. I’m very pleased with the packing of the plants and quick delivery! You made my day 🙂 A+++++ seller,highly recommend! Thank You for the very nice orchid & for you excellent all round service. Thank you for sending me the Phrag Samuel Crothers. It is a good size and healthy orchid. Received the plants, well pleased with them , just as your description and in excellent condition. I thank you very much for the fast delivery. All plants have great quality. Also I thank you for the extra plants free of charge. I’m looking forward to do further business with you. Excellent plants once again, great communication and super service as is usual, Elite Orchids is highly recommended! Great specimen exactly liked it was described. Great specimen exactly liked it was described. Healthy plant exactly as described. Nice seller! 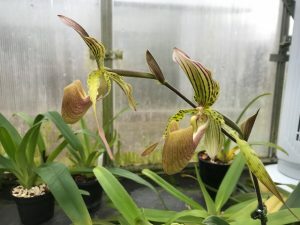 Nice paph, in vg condition. Excellent transaction. Thxs for the free tillandsia! very happy with my order. recommend this seller. very good service. very happy with my order, recommend this seller. very good service.